I love knit baby things! You have a lucky friend! That is a beautiful scarf, too! I love those sweet little soft booties! What fun! Babies are the sweetest little bundles of joy. Love the colorful yarn for the scarf. I know that is your favorite pattern! I love love my hand knit scarf from you. Oh, and I think Hilary was wearing one of your scarves in SF yesterday. It has been one of the coldest summers in SF. Today in GV=nice weather. Will keep you posted for the weekend. Love the booties, especially the yellow pair! Such beautiful yarn! 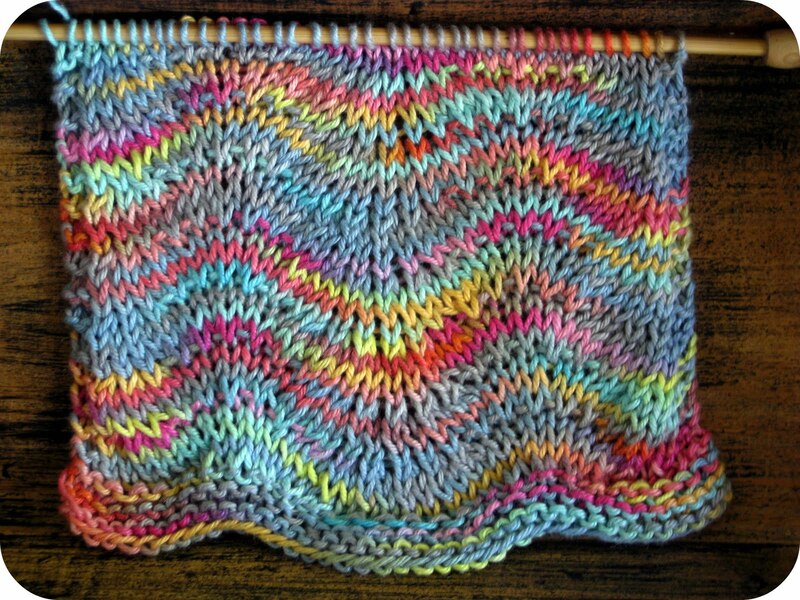 The scarf is very pretty in that variegated pattern. The booties are precious and so is the scarf! I love the colors and the pattern! I should get away from this heat here and come to where it is cool. It has been severely hot here day after day! Love them all! We have a baby to knit for, too. I'm working on a sweater - so fun! I must do some booties too. They are darling! You are a sweet friend. Happy knitting! CUTE booties! And that yarn for the scarf?? LOVE IT! I received my scarf in the mail on Saturday... I LOVE IT!! thank you Stacy! Your package went into the mail on Saturday as well. You should have it soon. OH...how cute! 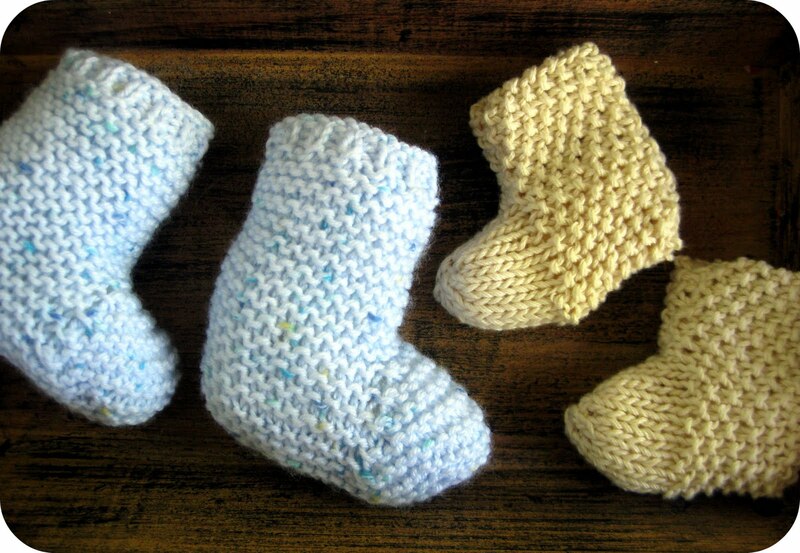 I love those little baby booties. Your ripple scarf yarn look yummy in those beautiful colors. I San Fran...hope you had a great time. I love the scarf, but I know what you mean. Scarves can get tedious. I tend to knit them for a while, then put them down for a while. Don't you love baby knitting? I love the pretty colors in your scarf. I wish you'd send some of your unusually cool weather here to scare off our unusually hot weather! The booties will soon be on the needles for my grandbaby.